BBC NEWS | Have Your Say | What will Zhao's legacy be? What will Zhao's legacy be? China is facing calls to reassess its suppression of the 1989 student protests after the death Zhao Ziyang. 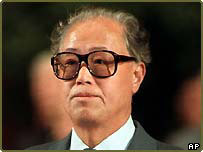 Zhao Ziyang, former leader of the Chinese Communist Party was ousted from power after he tried to mediate with protesting students in Tiananmen Square, shortly before the army crushed the pro-democracy demonstrations. Will Zhao's death provide a rallying point for political reformists? Or will his legacy have little resonance in a China that changed considerably since his political heyday? Send us your memories of Zhao Ziyang and his political legacy. His political life ended tragically, and his death reminds us that we should focus on China's human rights issue. At the of the Tiananmen events, I was an African student in Shanghai. Zhao Ziyang was a leader I liked to listen to. At the time of 1989 crisis, I definitely think that China was not ready for democracy. I also do not think those students were the right people to push for it. That was the time China was opening up after four decades of total isolation. The students and even some of the university professors knew very little of the outside world. Deng Xiaoping did the right thing in putting an end to the protest. I only have regret for the loss of innocent lives because these young people didn't know what would be the possible consequences of what they were doing. Zhao Ziyang was a great man but not necessary the man to handle the situation of that particular time. Good men in politics don't necessary do great things for their nations. Let the Chinese have their bread first, freedom and democracy will come at more natural pace. May his soul rest in peace. Zhao was a truly courageous and pioneering politician with China's best interests at heart. After all the smoke blown by the current government has cleared, history will surely look kindly on Zhao Ziyang. May Mr. Zhao rest in peace! And undoubtedly he will, because he chose to do the right thing. The same thing can not be said for the leaders who recommended the military crackdown or the current leaders forcing silence on its people. Zhao's actions were one small step for democracy in a land where the majority of its people wouldn't know democracy if it fell into their soup. China's so-called communist leaders of today are proving some of the most power hungry capitalists the planet has ever seen. The history of China and its status today will never be the same had China not put down the Tiananmen rebellion. Inaction by China at that time would have tragic consequences and would have given rise to anarchy, which in turn would set China sliding backwards both in terms of its economy and power. This is to pay my homage to one of the finest souls that our nation has ever produced. May he rest in peace, and finally freedom. More than fifteen years has passed. As a witness to the protests and the massacre, I barely missed his last visit to Tiananmen Square, his farewell to the hunger-striking students. But his last words in public gave me hope for justice at the darkest moment after the crackdown. He probably is only a moderate party leader, tempered by the cruel power struggle inside CCP. When tested again by a monstrous decision; nevertheless, he held on steady to a bottom line of morality. By his refusal to cooperate, he has long ago won my admiration for his moral conscience, loyalty to common people and above all, courage. Vivid and indelible was the memory of him as the newly elected party boss holding a public press conference. For a long time, he was a symbol standing for the new hope within the party after the maddest period of the criminal Cultural Revolution in the history of our nation. He could have held the party longer from the doomed downfall. But the party's cause has long lost with him. This could be the real political legacy he left us. With Mr. Zhao's reservations being ignored, bullets fired indiscriminately on tens of thousands of people, the legitimacy of CCP was for ever lost. From the wide cross-section of views on this issue mostly from China or the Chinese it does demonstrate how little China is understood around the world. It really is time we were taught more in the West about the world's most populous country. The West has missed out on so much. His death is a wake up call for each and every Chinese who loves freedom in China's prosperous economy. We Tibetans and Chinese should stand united in our pursuit of freedom and democracy for China. Mr Zhao's death is a wake up call to China to admit the events of 4 June 1989, apologise and move forward. With the coming Beijing Olympics in 2008, the Chinese government would be able get back some respect with regards to human rights matters if it makes a quick and swift action to settle this matter once and forever. As an influential former leader, Zhao played an important role in the process of China's economic as well as political reforms though this ended with sorrow and failure. However, any Chinese with kindness and conscience will remember such a figure who never sold his soul to the autocratic Communist Party and always stood with justice and democracy. I was a university student in Peking, when the massacre took place. We all saw on TV a tearful Mr. Zhao, visiting the students in the Square. He was probably the only top official back then who was sympathetic and willing to hear the woes inflicting on the average people. Indeed, there have been considerable changes in China ever since. However, his death can only remind people of the on-going aspiration for democracy. Maybe there won't be any rally in the Square now, but, eventually the tidal wave of democracy across the rest of the world will overcome all the seemingly unchallengeable barriers (established by the Chinese Commissars). It's really just a matter of time. What we need is patience, and determination. Grit our teeth and soldier on. Just another politician and all the politicians are the same. If he had really put the interests of Chinese people ahead of his own ambitions and desires for powers, the Tiananmen situation would have another ending. Being a participant of that famous event, I do believe Zhao's policy will be more negative than positive. Today is the day for mourning and remembering. I hope our fellow Chinese can recognise him as a great leader and also a pioneer for Chinese democracy. He tried to wake us. He is a hero although he failed. It's difficult to tell who had made the right decision as the history never goes back. Zhao's decision might have improved the democracy in my country, but that is not enough. China can't turn democratic over night. We need to change our mindsets from the grassroots to the top. We need to hear different voices from the public. But on the other hand, we need to get out of our poverty at this moment. Materials come first and then democracy. Up to now, after reading so many Western coverage on the Tiananmen incident, I still believe the then-government did the right thing. But I can't understand why the government doesn't let its own people to access outside materials and to let its people to know more about the incident. Why is it so difficult for them to reveal the truth? Zhao is lucky to have just lost power. I think history will be kinder to him than if he had led China into anarchy ala Gorbachev. China is what it is because it cracked down at Tiananmen. And today China is a super success on the way to superpower status. Umar Umar, Port Harcourt, Nigeria. He will have only a limited legacy in China where the dictatorship denies the existence of dissenting voices. Beyond China he will be seen as a moderate in a land where moderates are treated as traitors. Yes, Zhao failed to reform the political system in China. But he created, amongst many others, a democratic atmosphere that China never saw before. Above all, he will be remembered for his righteousness and courage. Remember two things about Zhao. One is the hyper-inflation he introduced in China in 1980's.When people complained about that, his cronies blamed those people of "just pouring out complaints while enjoying chunks of meat". Second is that Zhao was a keen golf player. In 1980's, golf was the leisure of the elite of the elite. One hour's play cost a middle wage earner's monthly income. It surprises me that all these things have missed in the West media's coverage. Zhao, who was severely criticized by protesting students in the beginning for his family's business activities, suddenly turned to a hero after his tearful appearance. I look at him as a democracy and a freedom reformist, patriotic, courageous person who is the one of Chinese people. I hope Vietnam will have such a person to fight for democracy and freedom. Zhao did not understand that western democracy is not for everyone, and China would have ended up in chaos. We need a firm hand and Zhao's hand trembled in the eyes of many when he tried to help the rebels. He was not a bad man, but he is not a great one, either. His passing will mean little, as Chinese now see the wisdom of the slow change the CCP is overseeing. Zhao Ziyang, interestingly like the majority of student protestors in 1989, had unshakeable faith in Socialism and in China. However, this faith did not blind him, but allowed him instead to point out faults and corruption as he saw them, and not to lose touch with the legacy of student protest to which the party is to some degree indebted. His faith allowed him to be critical of the institution in which he was involved, in hopes of improving it, which is perhaps a lesson we can all take from him in his death. We should not make the same mistake as the Chinese Government of the time and confuse criticism with lack of patriotism. Zhao is called China's Gorbachev. Just ask the Russian people how they like Gorbachev. There may be different views about Zhao Ziyang, To me, he was great as a human being for opposing of using force in 1989. He deserves being deeply respected. Finally he is free, may him rest in peace. Chairman Mao said: "At the end of the day, history is written by the common people." Zhao was sidelined for the same 15 years that had China's greatest economic broadening. This shows that democracy is not a law of economics. If some of the student "leaders" weren't so interested in having their little power struggle amongst themselves and left the square as planned and announced way before 6/4 things would have been a lot different. They should also be blamed for Zhou's downfall! I was in the last year of college in Beijing in 1989 and lived overseas for a decade now, Mr. Zhao' gentler tone toward defenceless students in later days probably overrode all the issues associated with him in my memory. During the years I was not allowed to leave the country, I worked for one of his three advisory agencies on rural development, no wonder he is popular, he set up such a "down to earth but second to none" tone we dare to speak out, compete and adept. May his contributions and his sacrifices, as those made by the dead students in 89 be recognized someday somehow hopefully in our life time. It is such a pity for China to black out the media, as they shamefully covered up the deaths in 89. May Mr. Zhao rest in peace. Unbelievable... the guy was in house arrest after trying to stop the massacre in 1989, never to be seen again. 15 years later he is dead and suddenly we need to care when even the Chinese don't care or recognize him officially. It is really sad but part of a global epidemic of turning a blind eye to things that do not affect us. These kind of things happen politically everywhere in one way or the other.. the winners write the history we teach our kids. Living under house arrest for 15 long years, Zhao showed his valour and the shamelessness of the Chinese Communist Party. He and those died in Tiananmen Square will be remembered. Her daughter said he was finally free. But when will 1.3 billion people be freed? I hope death is not the only way to freedom and I hope the pursuit of democracy would not be buried together with Zhao. China is a country with great potential. Unfortunately, that potential will not be realized so long as peaceful reformers like Zhao are treated like enemies of the state. Zhao was a patriot. The Tiananmen Square massacre showed that the Chinese Government feared the students' ideas and what they represented. Unfortunately, the fact that Zhao was kept under house arrest until his death shows that the Chinese government has not changed much. The Chinese should be applauded for the way their government handled Hong Kong. However, they have far to go when it comes to openness. They do not realize that openness and freedom of ideas will strengthen not weaken China. After Zhao's death, I told this stunning news to my Chinese friends, but they asked me who Zhao is. Then I realised that only few people in China know what happened. This is unfair for them, this is unfair for all Chinese students who had fought for democracy and died in the square. When a country's former chairman died, how can the Chinese government do nothing about it? I felt shame for them. If China had changed like Soviet Union after 89 Movement, would it be a disaster for China and Chinese? We will remember the days in the 1989. China will get better, economically and politically. China has undergone significant changes since the 1989 Tiananmen Incidents. The loss of Zhao Ziyang will indeed bring sadness to many who recognised his political achievements. However, having spoken to friends in China, I would like the BBC to clarify one thing. In your reports, you mentioned that Zhao Ziyang's death had not been covered on TV and Radio and had only received limited coverage in the national press. Contrary to these claims, I am led to believe that his death has indeed received coverage from CCTV and other major media sources. Although I was only 12 in May 1989, I still clearly remember Zhao Ziyang's tearful speech in front of the protesting students just two weeks before the military crackdown. This, together with the scenario where an unknown man who bravely blocked the tanks single-handed, were two of the most sensational scenes in the 20th century. People will long remember Zhao as one of the pioneers of both the economic and democratic reform in modern China. The fire of democracy ignited in mid 80s has never vanished. Indeed, it remains alive in the expense of thousand's lives and freedom. I wish the Chinese government could gear up the political reform so to match the country's growing reputation and status in global economy, technology and sports. I will always remember Zhao as a compassionate person. His tearful pledge to the students at Tiananmen Square will always be remembered. Although his legacy will remain, I believe the Chinese democracy movement still have a long journey ahead. People in China are more interested in making money than politics. However, we must not lose hope. China's economic growth will inevitably lead to a regime change. Had Zhao stayed in power and the students' succeeded in 89, China would have become like the former Soviet Union. Furthermore, Zhao would not have achieved what China has accomplished economically. It's very poetic, but not pragmatic, to think that democracy is the solution for every problem a country faces. China should follow a moderate, yet sustainable path toward democracy and not an overnight miracle advocated by Zhao. He was ahead of his time in a country that was unprepared for reforms. I am just so upset when there are very few words commented on Zhao's death from China's news media - "Comrade Zhao dies at age of 85" that's it? It just saddens me when I realized that's all could be said on the death of the nation's ex premier and party chief. After all, his bravery and support on students in 1989 should be remembered. I'd like to give my tribute to this great leader: Zhao is fallen, but never forgotten. A Chinese friend once called Zhao "a Chinese communist with a conscience". Maybe his passing away will re-kindle the flames of social reform in a country that saw him under house-arrest for close to 15 of his final years. Zhao is one of the most respected and unforgettable leaders in modern Chinese history, especially he will be dearly remembered by students in China and overseas. In 1989, I was studying in Scotland and we, HK, Asian Chinese , and some foreign students held a demonstration to support the students' movement in China. I can still remember vividly now the sincere and tearful face of Zhao then. It's a great loss to the people of China and it's sad to hear his departure from us. Premier Zhao, I'll remember you always in my heart and I do wish you rest in peace. Love him or loathe him, he was a remarkable man who showed an immense amount of courage and sympathy to his people when he had everything (politically). To me, every leader in the world should take a leaf out of his book on what it means to govern people. If Deng Xiaoping is the "architect", then Zhao Ziyang must be the "engineer" of China's reforms of the 1980's. The people of Guangdong will always remember and thank him for what he did for us. His legacy is, at best, ambiguous. For one, he brought about the economic prosperity of China, and here his comrades should laud him for it. However, in terms of political reform, he has failed utterly. If he had the foresight to concentrate on staying in power, at the same time maintaining conviction in his democratic principles, China would have embarked on a process of democratisation long ago. China may yet rue this lost chance for the liberation and freedom of its citizens. Some may say that the enduring lesson of Zhao Ziyang for China will be: tuck in your heads, for even the mighty fall when they refuse to conform. But I don't agree. Zhao serves as an ever present reminder that China does have a heart and soul, it does produce people of political courage, and that it can become a country of justice and humanity, if only more people dare live up to Zhao's example. Keeping Zhao's legacy alive is therefore critical to the future of democracy in China. I was a high school student in China in 89. The 89 uprising was just Zhao's and student leaders' failed attempt to grasp more power. The students were naive enough to be used by them. Zhao is no longer relevant in China. Had the demonstrating students in 1989 dispersed as requested by Zhao, China's political environment may have been different. We may have a more democratic government in addition to an economically vibrant China. When China becomes a world superpower, a stable multi-party democracy, Zhao will be remembered as a founding father. While I dislike communism with every ounce of my soul, I know an honourable patriot when I see one. Zhao, you will be remembered... and missed. Despite the fact that Zhao wanted to introduce political reforms, the way he tried to implement it was not expedient. He could have carried them out quietly, behind the scenes, as the CCP leadership usually does, rather than expressing it publicly, which only creates more enemies and opposition. Indeed, it is a tragic fact. Zhao symbolizes the path that China did not take. He represented what could have become of China under a more reasonable, moderate, flexible and perhaps more humane political leadership. Because of that, Zhao's passing brings back a sense of tragedy, not just for him as a statesman but also for China as a nation. Zhao may be recognized by China as a great leader only if Deng Xiaoping is to be criticized by the CCP in the future. Mr Zhao's death, unfortunately, can hardly ignite any political movement as influential and far-reaching as did the previous two occasions of memorials for two leaders. The reasons are many. First, the party has now learned the 'lesson' and spared no efforts tightening the grip on people's words and actions. Second, the young people, who used to be at the forefront of the demand for reform and democracy, are not preoccupied with other priorities: landing a well-paid job and securing financial security and seniority. Yes, China is getting richer, but this wealth and prosperity comes with an identity-shattering price: social polarization, diminishing sense of social responsibility, and increasing indifference to politics. This was a man who loved his country and his people - a true patriot who cared about wealth then power. It will ultimately be the responsibility of those not living under the Communist Party to keep the trust of his memory. It is always hard for China's communist government to say anything about their former leaders. Although the new leadership has shown initiative on political reforms, internet forums and newspaper publications are becomes even more restricted and monitored. So, don't expect too much on the official tribute. Let Zhao live with our heart forever. His legacy will be nothing. The Chinese Communist Party will do whatever it takes to hold on to power. As far as they are concerned he is history. The good people die obscure and 'young', but there works live on forever. If not now, but many years on, his achievements will be glorified. One true thing about Zhao is he was one of the very few Chinese leaders who really cared for his people, even through those very difficult, dark periods under the Communist rule, he had a heart towards his poor people, as a leader and a fellow human being. The Chinese people will never forget him. Zhao was the acceptable face of Chinese Communism. Tiananmen Square should not be forgotten in the clamour to exploit China by the West - and Zhao should be remembered for his bravery that day - as well as never forgetting the suffering of pro-democracy students. Tiananmen could have had a more peaceful solution if Zhao did not try to manipulate it and use it to solidify his own power. His actions on May 19, 1989 and afterwards escalated the whole thing. I know so many former participants of the demonstration who now think they had been unwittingly manipulated and used by Zhao and his close associates. Fortunately, Zhao did not succeed to become the Gorbachev of China, but he had done more than enough damage. More and more Chinese people are realising that Zhao was just another politician who put his own interest above that of the people. Zhao's death brings back to the discussion forums like this the almost forgotten topic of democratic reforms in China overshadowed by its very successful markets . I hope that at least now some focus will shift to democratic reforms in China. I am afraid that after Tiananmen Square, the Chinese people are much more cautious. Therefore I do not expect any big pro-democracy rally or protests urging democratic changes and reforms. Though China is no longer a hard-core communist country as it was a few decades ago, it is much more open towards the international community than to its own people. The man has been a great leader for his country but now it is time to let go of the past and concentrate on moving forward into a non-communist state. May his soul rest in peace. He lost the power struggle. It was his allies that saw to his end. China and its people will not be affected by his death, the country will move in whatever direction it was going. Sadly, the answer appears to be "not a lot". Kept under house arrest for 15 years, so the regime doesn't appear to have softened its line on democracy and non-violent protest. But who cares? The West has conveniently forgotten all that now that China is getting richer. Let's not let brutality stand in the way of trade, eh? Ethical Foreign Policy? I don't think so. From BBCChinese.com: I am very sad to hear that Mr Zhao Ziyang has passed away! Mr Zhao was a very good leader. He cared for the wellbeing and benefits of ordinary people. He promoted economic reform working to improve people's lives and promote economic freedom. As a General Secretary of the Communist Party of China from 1987 to 1989, he made efforts to promote political reformation, trying to increase political freedom for people in China at that time. When everyone looked upon the General Secretary as the final judge in important cases, he initially gave up that power, saying that judiciaries should execute their power independently. He is a pioneer among China's top leaders, openly showing his respect for the independence of judicial authority. From BBCChinese.com: Zhao was one of the most liberal Chinese leaders. He and his team had vision on China's future and knew how to govern a big nation. Some of his policies however were too pioneering at the time. His role in 1989 was 50% constructive and 50% destructive. His dovish attitude towards the students helped soothe the conflict at the beginning, but he encouraged the media to support the student movement. The special relationship between the media and Chinese people at the time effectively encouraged a popular uprising out of Zhao's own control. It is unknown what Zhao's intention was at that time. He was a great inspiration to the younger generation of Chinese. Comrade goodbye. No matter how the Chinese government will comment on him, the world people, including most of the Chinese, will hold him in high regard. If one has to find a national leader with conscience, altruism as well as genuine compassion towards the peoples in contemporary Chinese history, a model answer would be Zhao Ziyang. Let's pay tribute to this paramount leader. Zhao's death should provide a rallying point for political reformists. Wake up China, carry out reforms before it gets too late. When you say "reformers", you actually mean business leaders that want to open up the country even more to foreign trade and cause massive exploitation of cheap labour. Zhao may have had many faults, but he genuinely seemed to care for the Chinese people, a lot more than can be said for those who seek to exploit them and yet sit in government, claiming to be communists. A change coming was good, more free education, better free health care, then western business takes root and that's the end of support for all the people. The only support offered is to those with money, and to those where corruption is as bad as the western powers. Zhao Ziyang is the Chinese leader that all Chinese should say "Thank you for your service". He was indeed a great leader that recognized China's problems and was willing to call for political reforms. If his plan has been implemented, China would have been a lot better where corruption is reduced to a low level and the economic gap between rich and poor narrowed significantly. I sincerely hope that there will be another Zhao to deal with China's problems. China, please learn from your neighbouring nation, South Korea. This country has always faced difficult times but emerged stronger having learnt from their mistakes. The death of Zhao is not going to affect the way Chinese run their affairs. Long before his death he became a political non-entity, leave alone any rallying point for the so-called reformers within the communist party. I should point out another fact is that the protesting students were also responsible for Zhao's losing power in 1989. If they had understood Zhao's difficulties and taken a more reasoned approach, the outcome may not have been so bloody and the Chinese political reform may have smoothly continued. But history cannot be re-written. After hearing the news of death Mr Zhao, I am pretty sad at the news. As a young Tibetan high school student in Tibet 1989, I vividly remembered Mr Zhao's tearful face on the TV. It left a powerful impression on me. I wished I could have participated the student movement at that time. He will be remembered as a reformer in the China's Communist Regime. Unfortunately, Zhao seems to be forgotten by his own countrymen. I don't think there will be any large-scale anti-government movement. He will be remembered by foreign people, rather than by Chinese. During the "peaceful 15 years" Zhao was probably the only man who could have started more grounded democratic reforms in China. With the current generation of leadership it's a far cry. Zhao Ziyang symbolised hope for China, and pushed for reform in a country that desperately needs it, and probably still does. Locked away till his death for the role he played in the Tiananmen Square protests, he will never be forgotten. He staunchly opposed the problems that still plague China today - the corruption and suppression and undue amounts of censorship that do nothing but burden it's people. I write this with the full knowledge that people in China will not be able to read what I say, as websites such as the BBC are off-limits. May the memory of Zhao inspire us and remind us that there are still issues within China that need to be dealt with. Before trade agreements must come human rights reforms, and peace. Zhao's legacy is written on the skylines of today's China. He was the first author of the blueprint that led to the current Chinese economy. The greatest thing Deng Xiaoping did was to allow the second author of the Zhao blueprint to remain, giving me hope that China will be OK. That second author is the current Prime Minister Mr. Wen Jiaobao. I'm sure that China will someday recognize Zhao's legacy, officially. May Mr Zhao rest in peace! The death of reformist Communist leader Zhao Ziyang, purged for opposing the 1989 military crackdown, should inspire the new leadership into a rethink over the bloody massacre. A reinstallation and political reform towards democracy should be imperative. This will be conducive to winning the hearts of the Hong Kong people and their Taiwan counterparts and to ultimate unity of China. Mr Zhao's going represents a decade's past, a decade in which students were innocently full of passion for democracy and casually ignoring the things that really matters to China, e.g. stabilization, development, solidification and hostile inducement... Comparing to Russian today, I do believe that China didn't need Mr Zhao to act as a second Gorbachev... However, Mr Zhao is a good civil servant, but might not be a good leader for 1.3 billion people. He will be blessing China in the heaven. As a journalist, I met Zhao Ziyang very briefly in the early 1980s. But, I sensed that he was not a typical Chinese communist leader. We know now that he was, indeed, different. He was kinder, gentler and more economically astute. Any reform that takes place in China will take time. The political structure is such that the sort of dramatic policy-wrenching change hailed by reformists will only do harm to their causes in the form of backlash by the government and the general nationalist public. While I think Zhao's legacy provides an admirable ideal for younger generations, his death will not prove to be the cause of reform - only practical circumstance and slow osmosis of Western culture might prove useful and beneficial. Zhao left no legacy. He is a what-if, the representative of a path not taken, of a different solution to China's political problems. The conservative backlash of the Li Peng years denied Zhao and his followers a chance to leave a legacy, and China nowadays is a country where a direct transition from dictatorship to post-party politics is possible. In another time, in another place, Zhao might have been China's Gorbachev. In our reality, he is a sad reminder of some Chinese's overreaction to all problems. May he rest in peace. Milton Friedman, after his trip to China in 1988, commented that Zhao Ziyang was the best economist he had ever encountered from the communist world. No small praise from the 1976 Nobel Prize winner & the biggest critic of the communist system. I know very little about this man. But I am curious to know more about him about the Chinese politics in general. The impression I get from the Chinese people who have posted messages is that they don't feel there will be any large scale sympathy for Zhao. But why is the Chinese govt so nervous so as to not allow much discussion on his death? Zhao was a nice human being who felt sympathy for the young Tiananmen Square activists. However, as a politician history would judge him harshly as the Chinese have achieved economic prosperity and more political freedom by getting rid of the Tiananmen activists and Zhao himself. The Chinese public are calling for more reform in political system. The situation in China today is alike 15 years ago. Wish China enjoy more speech of freedom and rule of law. I was still a junior high at the Tiananmen Student Movement. I remember seeing on TV a tearful Mr Zhao meeting students in Tiananmen Square and giving signatures to students. I didn't understand much about politics at that time. But I remember people saying Mr Zhao was not much different from the other officials the students were protesting against at that time (actually he was the target of the protest at the beginning of the movement), and he just miscalculated the whole situation at the time. Now 15 years later, I feel sorry for him as he had been under house arrest for more than a decade. Will his death trigger any social movement? I doubt it. The Chinese are much less interested in politics than we were 15 years ago. As much as the father of China's new economy, Zhao will be remembered as the father of Chinese democracy, a birth that will occur contrary to the will of the party which it will quietly replace. I think China is on the verge of a political reform regardless. However I think his death will serve as a reminder of the great lengths to which the Chinese government will go to prevent change. Nothing significant is going to happen. China is so prosperous now and does anyone seriously think he could have done better? One thing that is undeniable is, China is still one large country, unlike the Soviet Union which the American can kicks around at whims. He will be remembered as good, selfless leader who sacrificed power for principle and who laid down the foundation for China's current economic growth. The Chinese people will always remember him. Economic reforms in China have one purpose. The one party state wishes to avoid the fate of the Soviet Union. Freedoms will be expanded if they are thought to help the party hold on to power. Other freedoms will be denied for the same reason. The Chinese are a great people, but China will only become a great country when it has a multi-party representative government. So long as the one party state continues, Zhao's death will amount to nothing. Zhao Ziyang's pro-democracy and reformist ideas have proved very effective and have radically changed China's political, social and economic landscapes. Thanks to him, and others like him, China today can wield increasing influence amongst the comity of nations. An honourable man has died. Let us remember him. China was shamed the day he was deposed, let alone the Tiananmen massacre and disgraceful aftermath. China: learn from this man! China is now in a nationalistic rather than a democratic mood. But it will be interesting to see the reaction of premier Wen Jiabao, who was Zhao's assistant during the Tiananmen massacre. Zhao is certainly one of the most honourable and prestigious leader in the modern Chinese history. His death would not provoke remarkable disturbance as China is already in the track of market economy. His image as a reform pioneer should be positively remarked in the Chinese history. Even after years of reform, there are still widespread abuse of authority by the government officials in China today. However Zhao Ziyang will always be remembered as the one who is untainted. The one who is willing to risk everything in his attempt to save his people. He is a great man, full of courage ,mercy and would be forever memorized in my country. I don't think Zhao Ziyang's death can cause the same kind of passionate response as in '89; today's generation of Chinese are more concerned with material acquisition than democratic freedom, and the economic climate has much improved, removing from the equation one of the Tiananmen protests' biggest (and most overlooked) sectors - the workers displaced by reforms in the 80s. However, we can still hope that perhaps some remnant exists, that perhaps Zhao's death will serve as a rallying point for greater reform in Chinese liberties. I'm not holding my breath, though. He was a horrible person, we must remember what happened in Tiananmen Square. He will be remembered as an enemy of democracy forever. The massacre of random civilians, and peaceful protesters, is intolerable. Zhao's life would have been completely different if he had not shown sympathy for the students. Humane he may be, but showing sympathy should not result in a 15-year jail term. To me, house arrest is no different to jail term, it is in fact worse as there is no pre-set time limit to such 'arrest'. If he had not been ousted from power by the hardliners, his style of reform might have change China politically profoundly and make the reunification of China and Taiwan into one democratic China more realistic. Although, a Communist leader, Zhao will always be remembered as the person who tried to bring China to the front. We Chinese will continue to reform the outdated political system. This is the best memory to Mr Zhao, a greatest Chinese political figure. The question about Mr Zhao's "legacy" is put somewhat wrongly, for since he stepped down in 1989, the Chinese people could continue to benefit from the policies of economic reform for which he has set solid foundations. If we must call Deng Xiaoping the "architect" of the reform, then Mr Zhao should be called the "foreman of the reform". For without his engagement, nothing would have come out of Deng's ideas. However, there is an important difference with Deng: there are many reasons to suggest that Mr Zhao would also have provided the Chinese people with some kind of political and democratic reforms, for which they are still waiting now, but which they will certainly receive one day. Only then will be able to say, that they benefited from the whole of Mr Zhao's legacy. His political accomplishments, leadership skills, risk taking sympathy for freedom and ability to continue to rise to the enjoyment of his own long life makes Zhao Ziyang of an example of the type of positive greatness in a man that China and indeed all of us should admire. A reformer ahead of his time. His compassion for the students won him many friends from the West. However, one must remember that it is one thing to get approval from the West and another to ensure the stability and well-being of your own people. I could not help thinking that if he were to be in charge, China may end up divided as USSR under Gorbachev. Anyway, one of the greatest leader that China never had. Will be sorely missed. I wish I was in Beijing today to see it first hand. Zhao's death is the litmus test for the CCP's plans to implement economic reforms while keeping the door to political development clamped shut. If the students and workers stay home tonight, we can be one bit more assured that popular struggle for democratization has fizzled in China. But what if they mass in Tiananmen? Will Hu Jintao use his new power as head of the PLA to forcefully disburse them? This may be the most important political moment we have witnessed in China yet this century. Zhao should be remembered as a demonstration of a beacon of hope to humanize a brutal monopoly of governing power, the current Chinese government. His treatment by the Chinese government is one of a miles-long list of the rampant cruel destruction of human life; of individuals who refuse to live as slave-like sycophants of barbaric despots. Chinese people still are not truly free. One day... One day they will rise again. And this time people will have world's support and more power in them. Zhao Ziyang is one important of effect-powerful, give up to change of democracy in the years. I think to be interested in new current of event in China by worldwide. I remember watching the protests on TV, and wondering what would happen to the man who cried and said he "came to late". In 1999 I was in Beijing and yet could not bring myself to stand on Tiananmen Square, and so I viewed it from the gates of the Forbidden City, only to be pushed by a soldier as he and other soldiers jumped on a family holding a yellow banner in front of Chairman Mao, and I realized that even though Zhao lost his freedom, the ideals of freedom were not lost that day in 1989, especially since Hong Kong still marks that horrible day. In the U.S. he would have been called a patriot. Britain's Industrial Revolution went on for hundreds of years before the modern democratic system was secured. The same could happen for China.